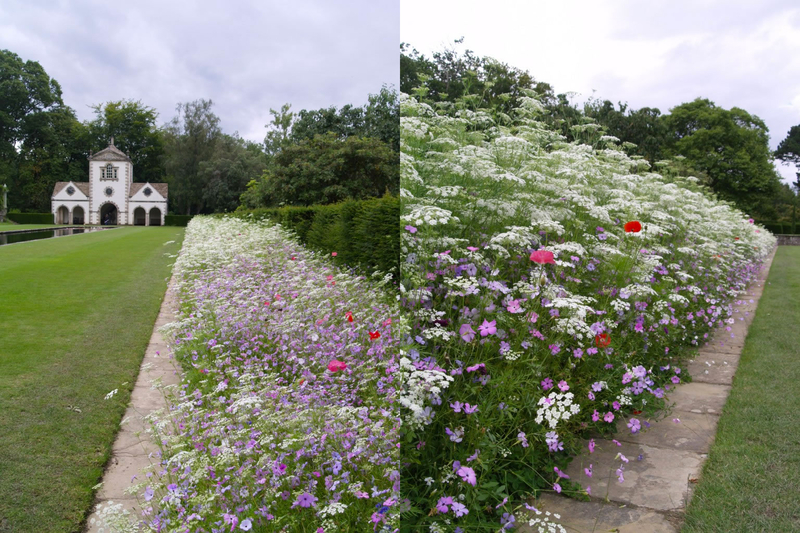 Bodnant’s Head Gardener decided to add a brand new feature and replace a long standing formal herbaceous bed with a beautiful annual Pictorial Meadow. The result was a stunning addition to the gardens which visitors loved and also created a great deal of favourable PR in the media for Bodnant Gardens. Bodnant is famous for its beautiful roses, water lilies and perfect beds, borders and lawns – very formal – but in 2014 they decided to introduce a Pictorial Meadow on to the Italianate terraces. 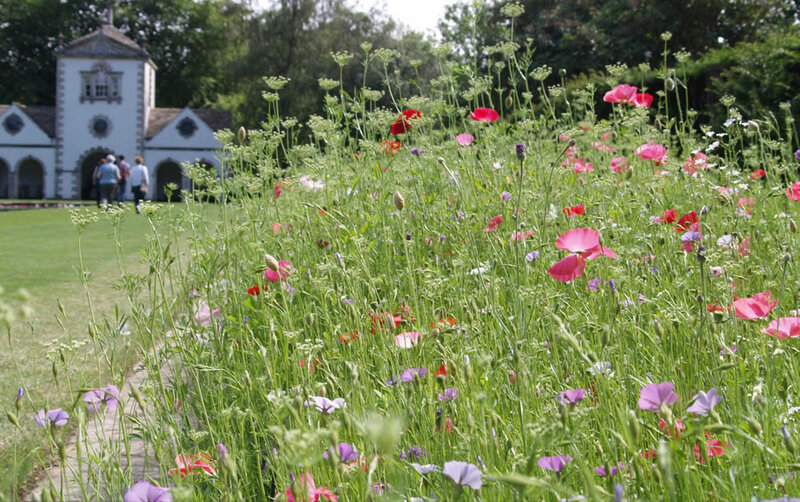 The Pictorial Meadow border, next to the grand, listed old Pin Mill building in the National Trust garden was made using Pictorial Meadows Pastel annual meadow mix and has been proven to be a huge success with visitors. 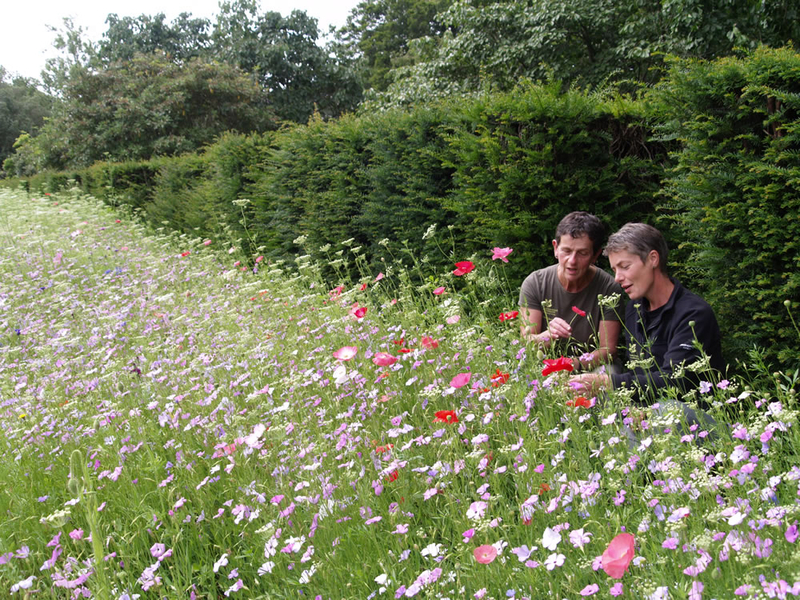 “You only have to sow a tiny amount of seed per square metre and it’s quite hard to get an even spread. I was on tenterhooks waiting to see if they would take but the display has been amazing and exceeded all our expectations. 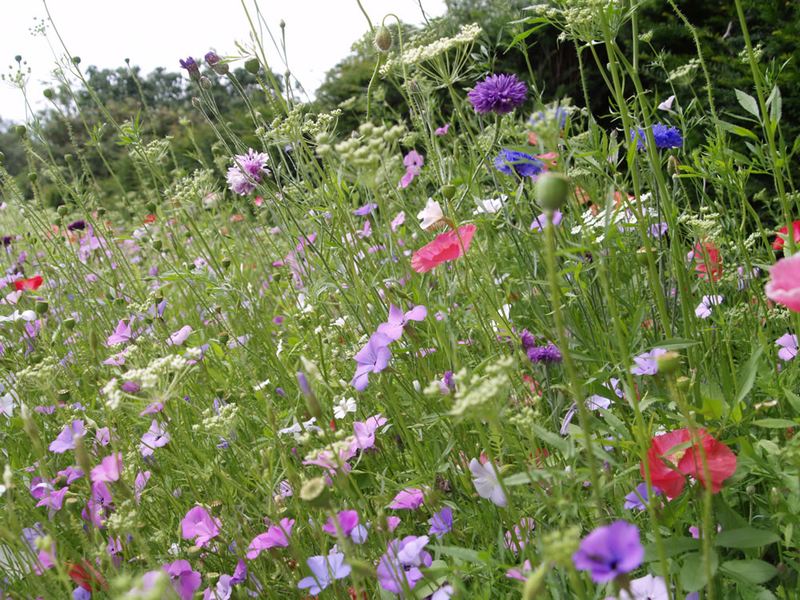 The bed has been absolutely full of flowers and is teeming with wildlife”.